Dental digital photography is one of the many cutting-edge tools we use at Adult Dentistry of Ballantyne to provide the best in patient care. The practice of taking dental photographs is not new, but the advent of digital dental photography has made it much more useful, both for the patient and the dentist. As a patient, it can be difficult to fully understand what is going on inside your own mouth. With a set of digital dental photographs, Dr. Robert Harrell can give you a more thorough explanation of the issues you are facing or any recommended treatment. This high-quality visual aid makes understanding procedures and dental issues much simpler, giving patients a better grasp of their treatment plan. Digital Photography helps Adult Dentistry provide the best care possible. Digital Photography allows our patients to see and better understand the problems affecting their teeth. Our specialized 12-megapixel camera can take photos of any part of your mouth with razor-sharp clarity. 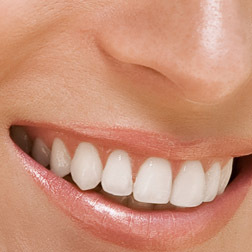 Digital photographs capture the teeth and gums from every angle, making it easier to find potential issues. Prior to treatment, digital photographs can be manipulated to show how your teeth will look when treatment is complete. Dr. Harrell uses dental digital photography to better assess oral health, diagnose problems, and plan appropriate treatments for patients. Using a sophisticated 12-megapixel camera, he can take photos of different aspects of the mouth with razor-sharp clarity. These images provide an unhindered view of the mouth and make it easier to identify potential issues. The computer software associated with dental digital photography also makes it possible to manipulate images for the best possible view of your dental needs. By examining your dental photographs with Dr. Harrell, you can gain a far better understanding of the health of your teeth. Dr. Harrell strives not just to treat patients in need, but to help them understand their oral health and how it is being improved. Thanks to digital dental technology, this is easier than ever before. Regular dental visits that include X-rays and photography help to maintain good oral health.